Plan the Perfect Valentine’s Day Party! Being in the marketing, public relations, and event-planning industry – we love a good excuse for a party. With Valentine’s day around the corner we seem to be finding ourselves daydreaming of all of the fun and fabulous things we might plan for a Valentine’s Day themed event. However, we are far too busy this year with our client projects to find the time. So, we’ve taken a moment to compile some of our favorite tips and ideas. Perhaps you can use them at your own themed event! Gone are the days when Valentine’s Day was reserved for only the smug, coupled friends in your life! Celebrate being single and unattached this year! Gather all of your best single friends for a fun, and festive cocktail party and be sure to use some of our tips to make your event a hit. Food: Serve a variety of simple finger foods and appetizers. Keep in mind that your single guests will likely want to look attractive while munching and mingling with other singles. Avoid messy or runny foods and keep poppy seeds and garlic off of the menu. 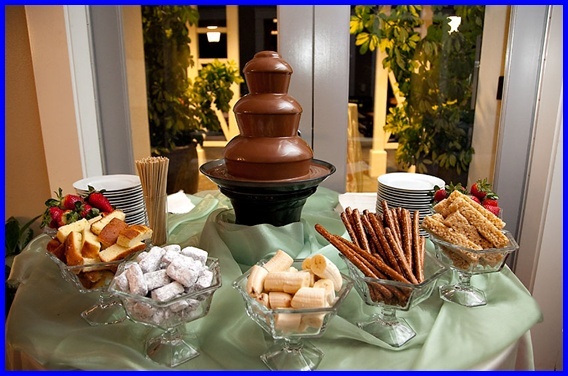 Try interactive food stations, such as a taco station, or chocolate fountain where guests can mingle while making their food. Cocktails: Keep your event stocked with delicious drinks. Create a self serve bar where people can make their own drinks. Your single guests will have the chance to interact while preparing cocktails. 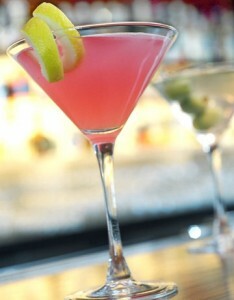 Serve a signature cocktail themed for Valentine’s Day – it will be a great conversation piece! Atmosphere: Keep the floor open for moving and mingling and keep the lighting low and flattering. Play a continuous stream of fun and upbeat music that people can dance to. Avoid painting the setting in red and pink, keep the décor simple and chic with the occasional red accent. Skip the expensive and lavish dinner this year and spend your Valentine’s day mingling with other fun and interesting couples! Host an event for all of your favorite couples for a fun and social Valetine’s Day! Here are some of our tips to organize an excellent couples event. Food: Offer a variety of hors d’oeuvres and appetizers. Set up stations that feature a wine or cocktail, each with an hors d’oeuvres pairing. Couples will love interacting and sampling fun and unique pairings together. Try setting up a chocolate or dessert tasting tabel with bite-sized dessert portions. 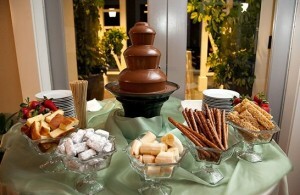 Or host a tasting event, such as a chocolate tasting party. Atmosphere: Invite couples that you feel will mix and interact well, to keep the vibe fun and friendly. Create the space for guests to mingle, but also provide some interactive elements to your event. Try setting up a Valentine’s card-making station with paper, markers, stickers, etc, where guests can create fun Valentine cards for their significant other. Or pre-bake heart shaped sugar cookies and allow couples to decorate them together. Try some of these fun tips out at your Valentine’s Day event! Do you have any other ideas for a great Valentine’s themed party? Let us know!